By adopting an innovative, accredited program, teaching at the Faculty of Art and Design, Megatrend University has been harmonized with current developments both in the field of applied arts and design, and contemporary principles of education. The work at the faculty is organized through the process of research and implementation of contemporary methods in the field of design, architecture and urbanism, as well as visual arts, scenography, textiles, fashion, graphic and industrial design. In this way, the acquired knowledge combined with the acquisition of the theoretical foundation, necessary for understanding modern trends in the field of applied arts and design, make our students, future graduated applied artists, extremely competitive in this field. The study program of undergraduate academic studies at Faculty of Arts and Design belongs to the educational and artistic field of arts, applied arts and design, and contains all the elements stipulated by law. The Faculty realizes successful cooperation with prominent European faculties in the field of applied arts and design. Faculty of Arts and Design has signed a cooperation and student exchange agreement with one of the 20 leading universities in Europe, Italian University Politecnico di Milano, which provides two one-semester scholarships for second, third or fourth year students for one-semester schooling in Milan. Within the framework of the agreement, each year Faculty of Arts and Design organizes a workshop entitled Water Living, where students of the Faculty have the opportunity to exchange experiences with colleagues from Milan. Why study at Faculty of Arts and Design? Faculty of Arts and Design is a place for creative people. By fostering artistic excellence and developing cultural awareness and social responsibility, we create top designers and visual storytellers. Here you will learn to develop and visualize your ideas so that you can share inspiration with the world. Together with your creative talent and abilities, our modules in the field of design, architecture and urbanism as well as visual arts, scenography, fashion, graphic and industrial design enable you to embark on a journey in which your imagination becomes the basis for career success. We share the passion for creativity and design – from classic to modern and innovative. At the Graphic Design module students acquire theoretical and practical knowledge, master the methodology and practical skills, as well as competences necessary for professional conceptualization and realization of the design of packaging, posters, leaflets, catalogs, books, publications, web presentations, electronic pages, animation and animated design, etc. During the studies, students master the necessary tools for graphic design, such as Adobe In Design, Adobe Photoshop, Adobe Illustrator, Adobe Premiere, Adobe After Effects, Adobe Dreamweaver, Adobe Flash, etc. At the Industrial Design module, students master the theoretical and practical knowledge, methodology and practical skills, as well as competences necessary for professional conceptualization and realization of the consumer goods design, different purposes industrial products design, solutions in transport design, etc. During the studies, students master the necessary tools for industrial design, such as: Rhino 3D, Key Shot, V-Ray, Adobe Photoshop, Adobe Illustrator, Sketchbook Pro, etc. The Interior Design module provides theoretical and practical knowledge, methodology and practical skills, as well as competences necessary for professional conceptualization and realization of the interior design of residential buildings, business offices, public buildings, educational and cultural institutions, interior and catering facilities, furniture design, etc. During the course, students master the necessary tools for professional interior design, such as Auto Cad, Photoshop, Windows (Word, Power Point, Excel), 3D Max, Sketch Up, and Design and Architectural Drawing Skills. At the Fashion Design module, students master the theoretical and practical knowledge, methodology and practical skills, as well as competences necessary for professional conceptualization and realization of the uniquely designed clothing items as well as mass produced ones, clothes accessories design, haute couture design, clothing design of a broad range, and the realization of costume designs, etc. Students also master the skills and techniques of tailoring, clothes designing and modeling, sewing and correcting, painting of fabrics, textile printing, macramé, application, various types of textile experiments, etc. During the studies, they learn to use the necessary tools for fashion designing, such as Adobe Photoshop and Adobe Illustrator, whereby they realizes numerous design solutions within professional subjects and fashion technical drawings. At the Module of Scenography students acquire theoretical and practical knowledge, master the methodology and practical skills, as well as the competences necessary for professional visualization and realization of theatrical scenography solutions, film scenography solutions, television scenography solutions, and those for performing various indoor and outdoor events. Students master the skills and techniques of creating a scenographic sketch, a scenographic project, a prototype, and the implementation of the scenography solution. 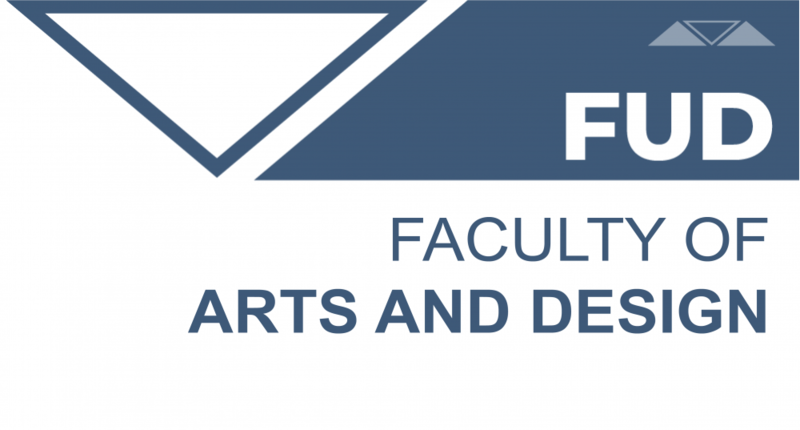 The main goal of master studies at the Faculty of Arts and Design is the development of the process of learning and realization, as well as the development of artistic skills of students through the creation and presentation of the Master work. Research and artistic skills are developed with the help of mentors through lectures, workshops, study tours and various forms of presentations. The goal of the study program of doctoral studies in applied arts and design is the education of independent artists and designers, through complex theoretical and practical work, as complex and free artistic personalities, socially responsible, able to independently deal with the widest possible aspects of artistic creativity.